The East Fork Trail Head is the southernmost trail head along the 25.5 mile Trinity Trail. Like the other trail heads, there is a white pipe fence surrounding the parking area for safety. 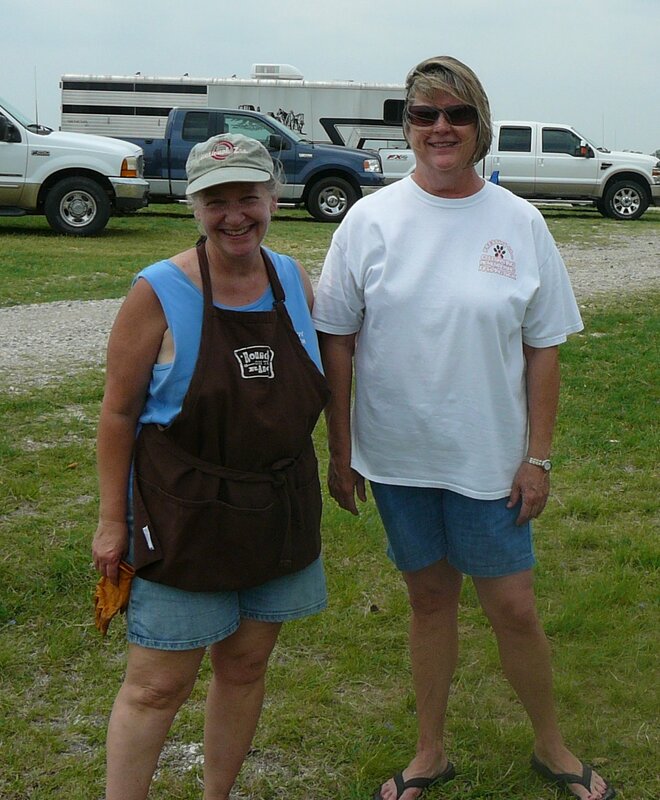 About the Trail From East Fork: The trail from East Fork passes through a variety of terrain including some high areas that offer amazing views of Lake Lavon. This section of the trail has a few small hills and passes thru both woods and open country. In the first mile of the trail, there is a short section of the trail that runs parallel to a road. 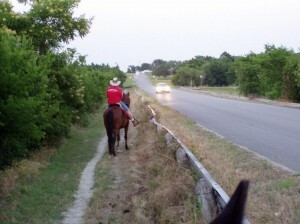 The trail is well off the road and there is a guard rail between the trail and the road, but traffic from the road can unsettle some horses so caution is suggested on this stretch of the trail. After the road section, the trail scenery improves dramatically. 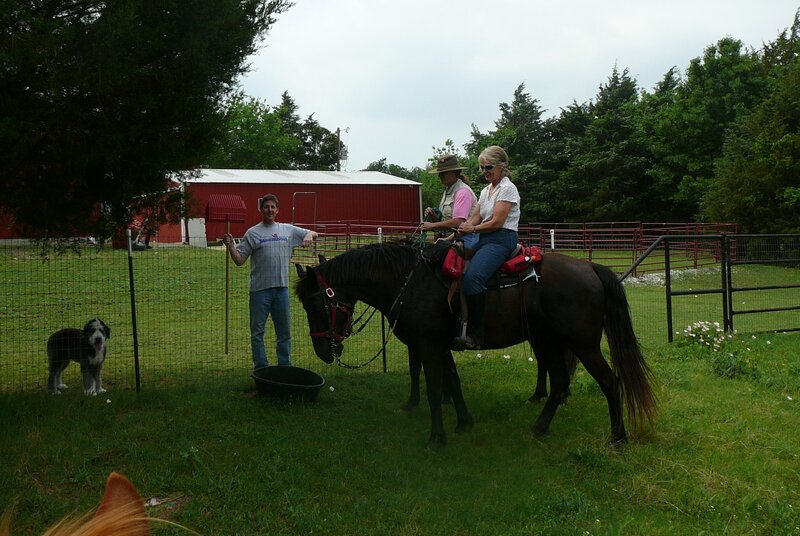 There are a number of scenic viewing spots of the lake and the lovely rolling countryside along the trail makes for a relaxing place to ride. 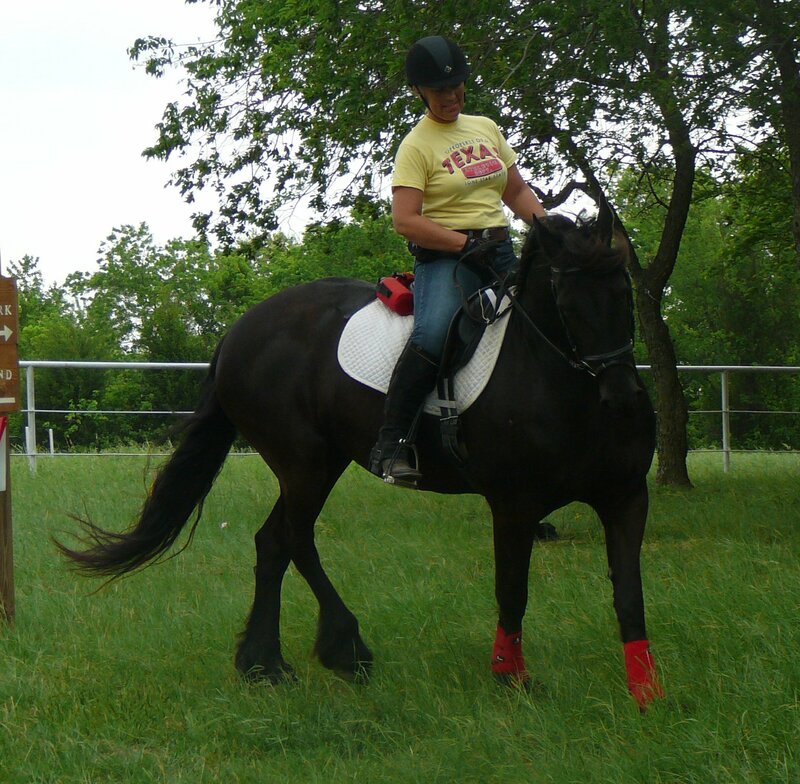 There are also some nice level areas with good footing that are just perfect for a brisk canter. 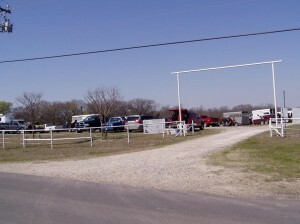 The East Fork trail head features a large parking area, easy access in and out for large trailers, a round pen, covered picnic tables, and a bathroom. 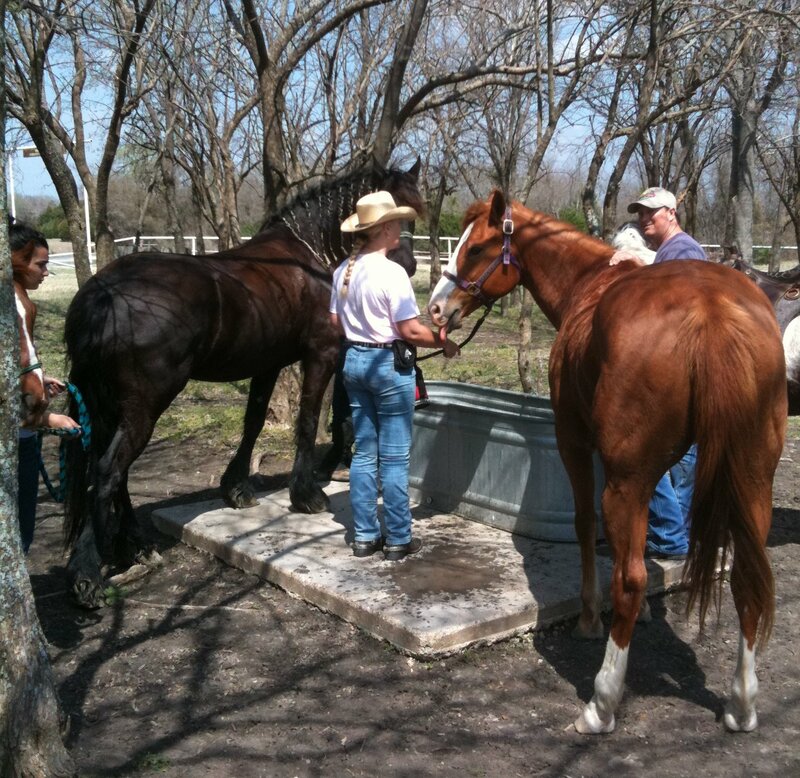 It is a wonderful trail head and the location of many of the TTPA Trail rides. 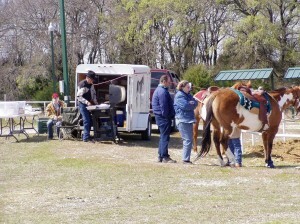 In addition to these amenities, there is an equestrian campground a few minutes ride from the trail head inside the State Park along the lake. 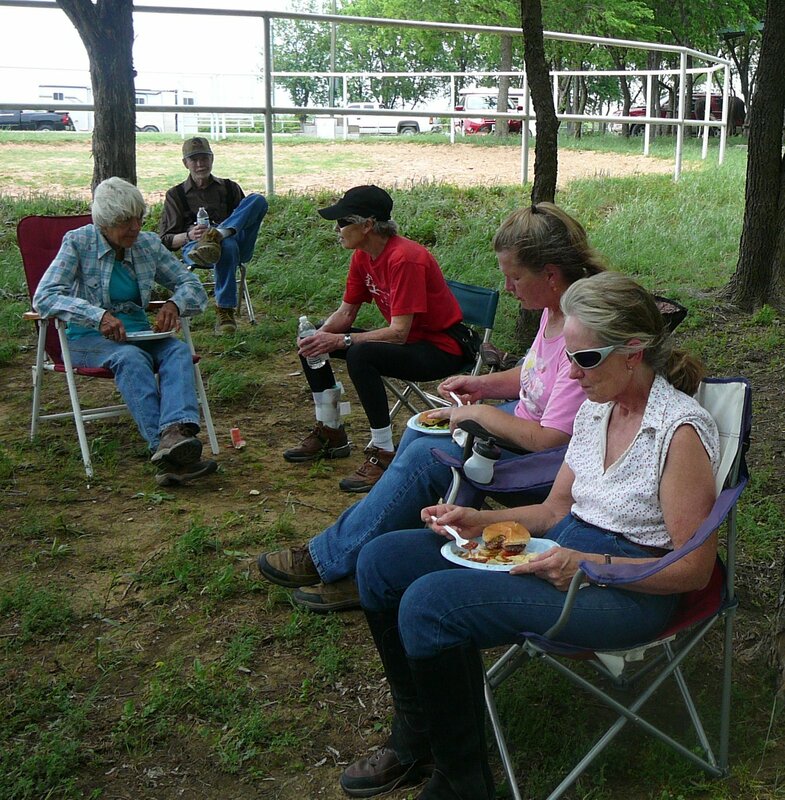 The campground offers horse pens, water, electricity, lights, a covered pavilion, and covered picnic tables. 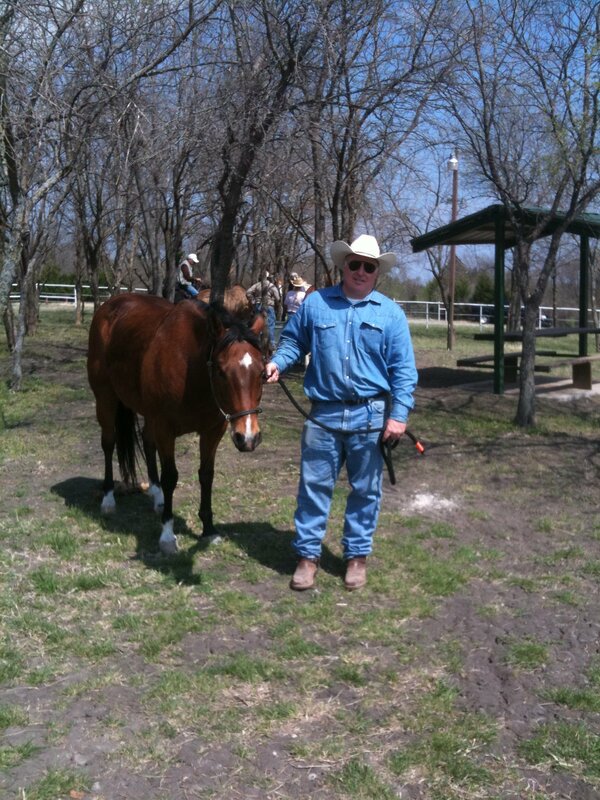 East Fork is the only trail head along Trinity Trail system that offers nearby camping with horses.